TCU fans might be feeling a bit down these past few weeks, but Nike looks to lift their spirits with a special edition Nike Free Trainer 5.0 V6 AMP “TCU” release. This “TCU” Nike Free Trainer 5.0 provides you to train like you’re part of the team that is dressed in a Purple and Black color scheme covering the upper. The shoe is built with a locked-down support while allowing mobility for the foot to move naturally, this men’s training shoe meets the needs and demands of intense multi-sport workouts. 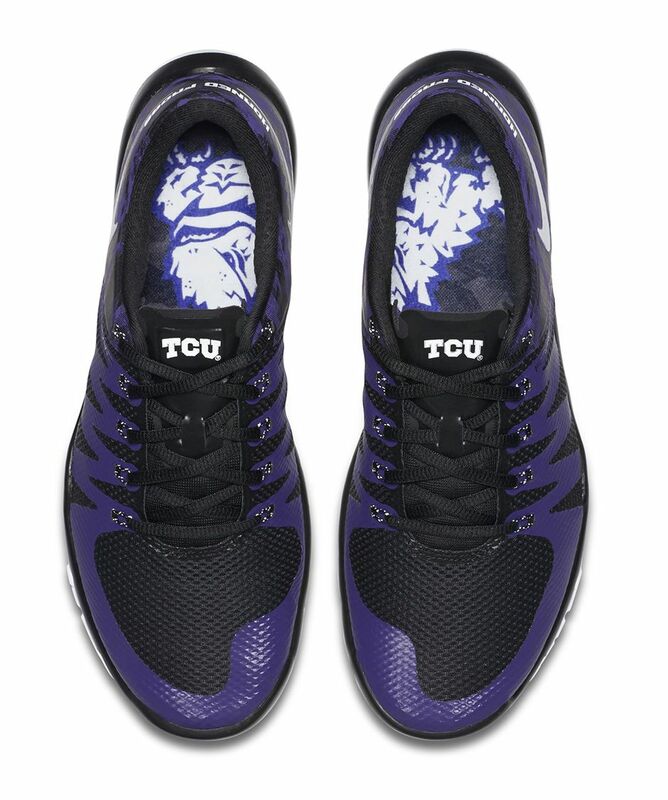 One of the best features to the shoe includes the school logos and “Horned Frogs” emblazoned on the heel. Check out the official images below and look for the Nike Free Trainer 5.0 V6 AMP “TCU” to release on Wednesday, November 25th on Nike.com. The retail price tag is set at $110 USD.